Beautiful and simple to use! Consigliatissimi! Especially for those girls who, like me, are not very practical! :)	Belli e semplici da usare! Very cute, excited to use them. Very cute, excited to use them. Packaged really well and they are a great product. Beautiful! Packaged really well and they are a great product. Beautiful! Beautiful and especially very durable. Bellissime e soprattutto molto resistenti. 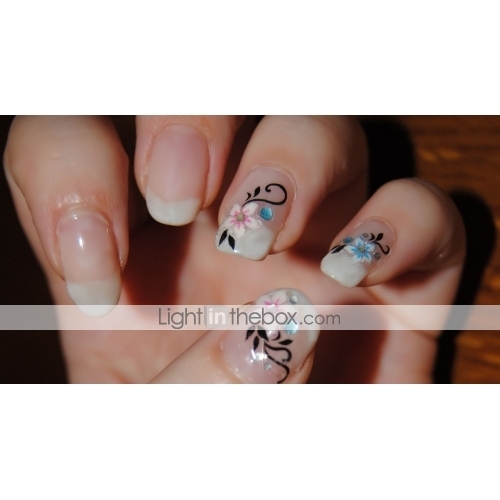 Very beautiful stickers) fit well on the nail, you get a beautiful express train. Очень красивые наклейки) хорошо ложатся на ноготь, получается красивый экспрессманикюр. Very original stickers !!!! Autocollants très originaux !!! !